Yesterday I woke up to a hilarious conversation on a whatsApp group,where a friend was moaning about the pain of getting a wax. I suggested her why not to use a razor . From there I got an idea why not to write a blog on shaving hacks,tips and tricks and share with you guys. 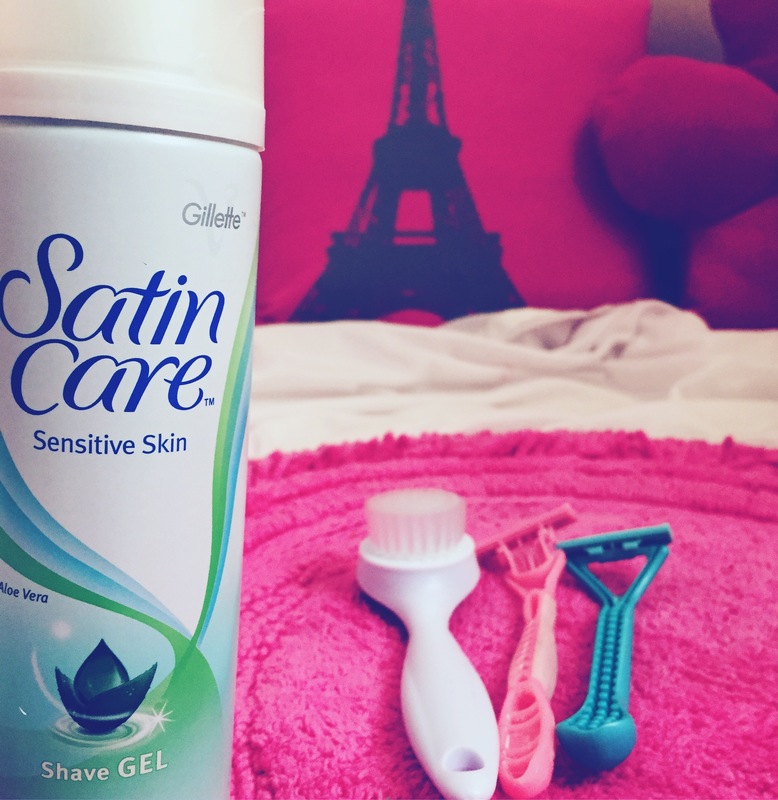 So here I am with my top 10 shaving hacks,tips and tricks you need to know. Before you pick up that razor, make sure you check out these points that I usually use and some I found on pinterest. Trust me these tips might change your life or at least this boring task of hair removal will become a little bit easier and better. Without further ado,let’s get started. 1.Use a body scrub and exfoliate your skin before shaving. You can also make a scrub of your own . DIY : Take a tea spoon of sugar mix it with a coconut oil and your scrub is ready. 2. Apply a hot, damp towel to the treatment area for 30 seconds this will help in softening hair and skin. Basic idea behind this is to avoid cuts,bumps,nicks,razor burns and clogging up the razor with some dead skin. So let your skin soften and then shave. 3. Most important tip and trick is always use short strokes. 4. Shave downwards,then upwards.Make a note of it never slide a blade sideways against your skin. 5. 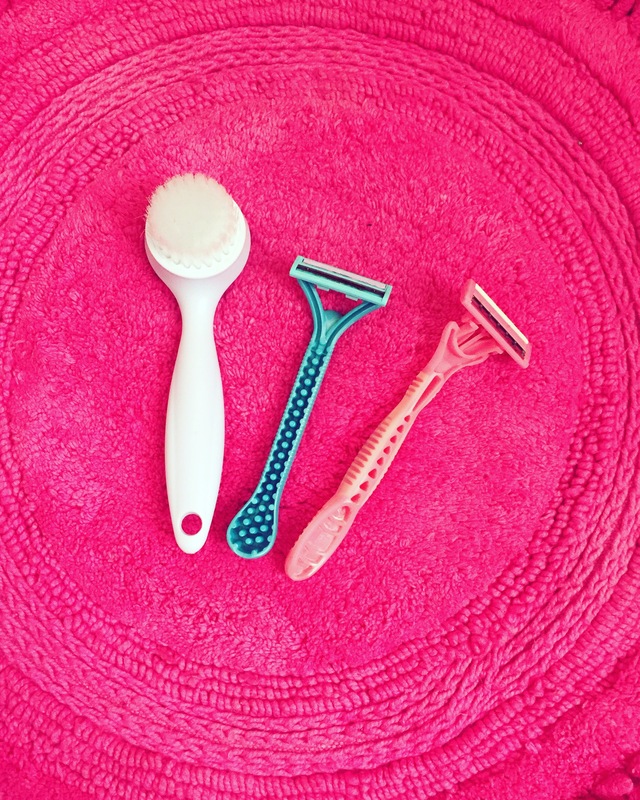 Ensure you shave around any existing scars that haven’t yet healed. 6. Best posture is sitting down in the bathtub or on a stool and bending your knees in this way your skin will stretch out and will be easy for you to shave. 7. Use a good quality razor ,now a days five bladed razors which are equipped with aloe vera strips are available for women that could help smooth out your next shave. 8.After shaving massage it with a moisturiser or you can use a baby oil. 9.Shave after your shower. This will make your skin warms up and your hair follicles soften. 10. When shaving let the blade do the work do not press down into your skin. You can shave whenever there is a growth . Armpit, legs and hands are the regions where shaving can be done. 1. Clean your razor with baby oil to make it last longer. 2. If you don’t have a shaving cream then use conditioner as a substitute of it. 3. Cut yourself shaving ? Dry the area and dab on some vaseline. It will create a water tight seal over the cut which will instantly stop the bleeding. 5. While shaving leave the cream for few minutes. This way you will be able to avoid any razor burn. 6. Post shave always wash the area with cold water as it will close all pores and immediately tighten your skin. 7. Use men’s razors if you find your armpit hair is particularly coarse. 8. If you have got black patched in armpit use rice flour mix it with rose water and apply it for 10 minutes. Do let me know if you have any questions on my comment box below. See you soon till then takecare. Previous Post LookBook :Say Hi to Peach in this summer.